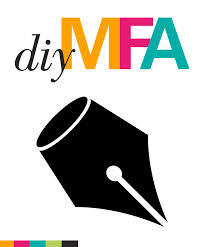 In addition, I contributed another article to DIY MFA’s ongoing #5onFri series last week. This time, I shared five tips on writing an introduction for another writer’s book, based on my experience with penning the intro for Alison Walsh’s A Literary Tea Party. So if you’re ever asked to do this and you find yourself wondering, “What questions should I ask? How should I write this? Am I even qualified to do this?” – well, this post might help! As always, feel free to share your thoughts on either article in your comments here or at DIY MFA!